I was pretty certain I was going to like this book even before I started reading it. First up, it’s a Christmassy romcom that manages not to have ‘little’ in the title! 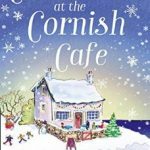 The author could have jumped on the bandwagon with ‘Christmas at the Little Village Pub’ or similar, but thank goodness she doesn’t! ‘Little’ is currently one of the most overused words in book titles, or at least I think so. 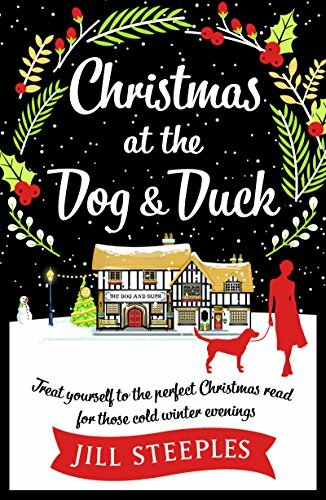 Instead we have ‘Christmas at the Dog & Duck’, and the novel is as unpretentious and down to earth as the pub’s name, although we get our magic sprinkling of festive happiness at the end which we and the protagonists all deserve. As well as the title, the book cover is also distinctive. 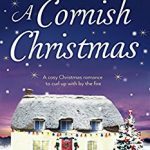 There’s a definite craze for Christmas romcom covers to be shades of blue with a snowy house in the centre. At the bottom of this review you’ll see four such covers that I found within a few minutes of searching! Christmas at the Dog and Dog bucks this trend. We have a striking, unique look for this book, and it’s equally as Christmassy as all those snow scenes. The book turns out to be equally as impressive. The story is beautifully and intelligently written. 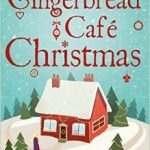 I notice some reviewers have grumbled about this not being a very Christmassy book as a lot of the action takes place during the months preceding the festive season. The plot of this novel is such that this needs to be the case, and quite frankly it doesn’t disqualify it from being a seasonal story at all. We see characters and their relationships develop over time, and a chain of events unfold. The action culminates on Christmas Eve and Christmas Day in a superbly warm and cosy way. This is most definitely a Christmas romantic comedy. Heroine Ellie is smart and sensible, and taking time after a redundancy to sort herself out. She’s returned to the village she grew up in to housesit for her absent parents and sets up a dog walking business to tide her over. She also works at the Dog and Duck, and the pub is central to the story. The main love interest comes in the form of Max, a local landowner. They first bump into each other in less than flattering circumstances, at least for Ellie, and we get our share of mishaps and misunderstandings that are crucial to the romantic comedy. There are some endearing animals in cameo roles, but we stay well clear of the mawkish cutesiness that’s all too rampant in this genre. This a measured, classy and immensely enjoyable novel. 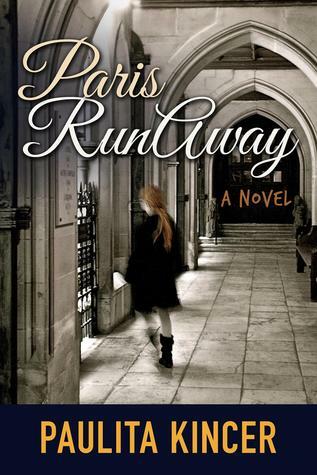 Three cheers for Jill Steeples, and five stars for her book. 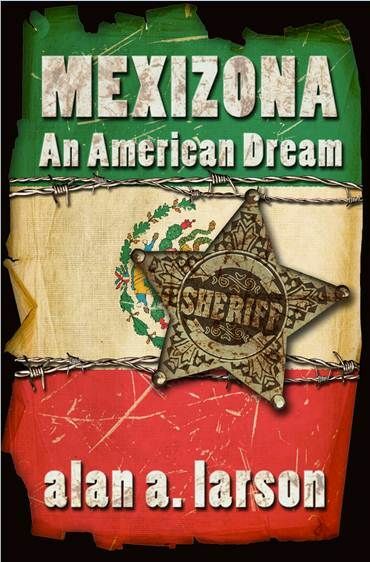 Posted in Book reviews, Christmas, Ebooks, Fiction, Kindle. A cover reveal for you today. Skye Lotus will be launching her new book, Aim, on 5th May. This cover is by Maja Majetic. It’s perfect, in my opinion. The style and colours are modern and energetic, like the story. 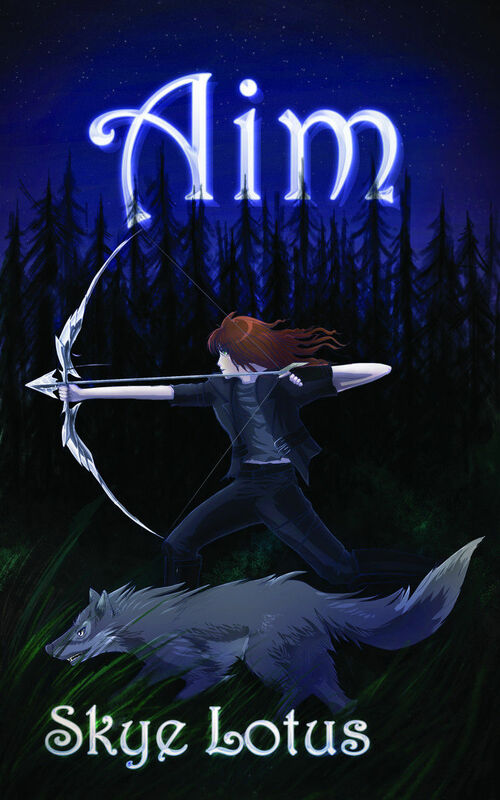 The pose of our heroine shows confidence and spirit, and yes, that’s a wolf by her side. We have to wonder what that’s all about. Already we’re intrigued to find out what this story is all about. This is beautiful artwork. You can find out more about Maja here. Come back here on 5th May and I’ll give you a few more hints…. Meanwhile, please spread the word about this forthcoming novel by a young, talented author. I featured Skye on this website back in 2012, and she’s gone from strength to strength to strength since then! Aim is a book you’re going to love reading. Here in France, it’s normal to be presented with an amuse-bouche when you go to a restaurant. An amuse-bouche is a small, tasty hors d’oeuvre, designed to both whet your appetite and show you what the chef is capable of, and, most importanly, leave you wanting more. Crusty bread protruded for her mouth, a dreadful halo of dark red blood pooled around her head. But, it wasn’t a halo. It was a nightmare scene before me. I peered closer touching the bit of bread. My fingers brushed her skin. I gasped and jumped back. Mrs. Peterson was dead. What a thing to find in the kitchen. 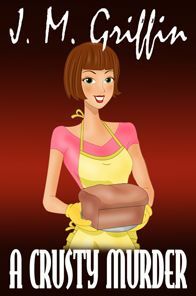 However, our heroine, Melina Cameron is as resourceful as she is a skilled baker. She copes surprisingly well with this gruesome discovery of her dead landlady, but when another body with associations to her turns up, the heat goes up. Melina now has to prove her innocence as well as keep her bakery, The Hole in the Wall, going. The finger is also pointing at Melina’s best friend and neighbour, Betty-Jo so the two of them unite to track down what’s behind these deadly events. And as if that’s not enough, there’s her grandmother to cope with. She’s something of a handful, a twenty-year-old trapped in a seventy-year-old’s body! Luckily there’s Aidan Sinclair, a handsome Scotsman here on business, to lend a hand. He’s not the only man to find Melina attractive. Detective Graham is also rather smitten, but he also seems rather too keen to pin the murders on her too! The characters are particularly strong. They’re all fascinating in that they’re all very real with their quirks and flaws. Between them they create a rich atmosphere of coziness with intrigue at its centre, a bit like the wonderful empandas that are cooked up: unassuming pastry on the outside but a surprizing filling on the inside. So we have murder, romance, friendship, tension and wonderful food all in the same book. It’s a well written novella, which I thoroughly enjoyed, fulling showing off the versatility and talent of the author and tantalizing us to want more bites of this series. J.M. Griffin/Dana Stone grew up in rural Maine. She relocated to Rhode Island and lives in the north western part of the state with her husband and two cats. J.M.’s first published novel For Love of Livvy, began a series of humorous mysteries featuring Lavinia “Vinnie” Esposito. J.M. has also written a romance under the pseudonym Dana Stone. How well can you trust yourself? No matter how you cut it, you cannot. Your eyes can see things that are not present; you can hear things that you should not. Hallucinations are omnipresent, and in reading Café Insomniac you too will find yourself wondering what is real and what is imaginary, as the lines between real and unreal blur to a greater and greater extent. Such is the predicament of Justin, insomniac and latterly a latte-serving ex-teacher in charge of the titular Café Insomniac, a co-venture with his father. 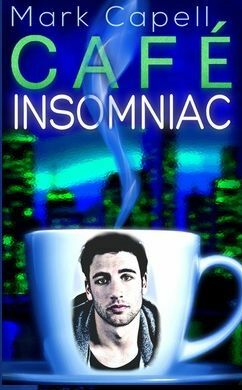 The premise of Café Insomniac is self-explanatory – it is a café, open all night and ready to dispense caffeine and pastries to those who find themselves burning the midnight oil or otherwise unable or unwilling to receive a visit from the proverbial sandman. However, things are not quite as they seem, as the sleep-deprived protagonist finds himself drawn into an unnerving series of events of worsening insomnia, seemingly sparked by a murder of one of his patrons. The insomnia soon becomes a total inability to sleep, and as Justin finds his reflexes duller and duller and the imaginary harder and harder to distinguish from the unimagined, things become stranger and stranger and the normal becomes unnerving. Can Justin get to the truth of the matter and save his sanity, or was he never really sane to begin with? The book is a definite change of pace from anything else on the market at the moment. It sends the reader into an uncanny valley where things seem normal, but not quite. There is an undercurrent of just something strange to each sentence, each paragraph. As the plot progresses, the strangeness becomes a little bit more pronounced, just a little more, until you find your skin crawling as the writing crosses into something mildly, yet fundamentally, unnerving. Mark Capell is a fluent word-smith to craft a work with such a profound effect on the reader. When the book is not attempting to rattle the reader, the descriptions of the characters and places are down to earth and can be related to, while at the same time keeping you just ever so slightly off-balance and continuing the ever-so-slightly unsettling narrative. In keeping with the book’s departure from the market norms, the plot lends itself to the atmosphere. It is undeniable that it is a slow build-up all the way through, and yet it complements the tiredness of Justin and the fogginess of his mental state. Book review by Benjamin Dagg of the Books Are Cool team. You’d be forgiven for thinking that a horse-trainer’s job would keep them more or less occupied, hoofing it from horse to horse. This isn’t so for Cat Enright, heroine of the Magnum Equation written by Lisa Wysocky, as our equine educator takes on the mantle of sleuth during a National All-Breed Horse Show, when a string of deaths of both people and prancers brings chaos crashing down. The book itself is quite a delight to read; very easy-going with a relatable cast of characters and the authors’ omni-present light-hearted humour. Cat herself is no Miss Marple, and not just in age; she isn’t some razor-witted crime-solving automaton but a blunt yet spontaneous woman with a down-to-earth background hailing from Tennessee. Her associates just make the cast even more colourful, up to and including a self-confessed juvenile delinquent, an eccentric, spiky-blue haired woman “of a certain age” and a horse who may or may not be psychic! Of course, it isn’t all light-hearted all the way through; this book boasts some truly unexpected plot twists, keeping Cat (and this reviewer!) guessing right up until the very end, whereupon it eventually crystallizes into a thrilling conclusion. 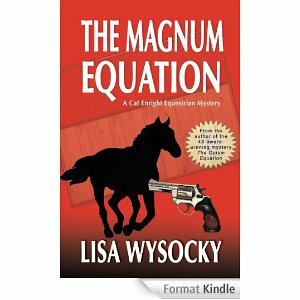 The way Lisa Wysocky has dug into her mine of equine knowledge and produced these gems of intrigue, suspense and equicide is remarkable. If that wasn’t enough, the book also boasts recipes, Cat’s tips on horses and horse care, a helpful cast guide, a map of horse shows, a glossary for non-horsey people and even fourteen questions for book clubs or even the reader to mull over. In conclusion, it’s an enjoyable read, a story with a plot that bucks as much as a wild Mustang and characters that are down-to-earth and relatable. I would most definitely recommend reading it! Having enjoyed Magnum Equation so much, I was keen to talk to Lisa and ask her some questions about the book and about writing in general. First things first, can you tell us a bit about what happens in the Magnum Equation? Sure, Cat Enright, who is a twenty-nine-year-old horse trainer just outside of Nashville, Tennessee, steps in when horses and people fall ill at a prestigious horse show. Her unusual supporting cast, which includes a juvenile delinquent, an eccentric client of a certain age with electric blue hair, a teenager with a trust fund, and a (possibly) psychic horse, help Cat solve murder and mayhem after a show-goer’s last hurrah is in the port-a-potty. A major secret is revealed, too, about Cat’s mysterious barn manager, Jon Gardner. Which character do you find resembles you the most? It wouldn’t be Agnes, would it?! Oh, no, not Agnes (who is in her seventies and tends to forget that she is no longer a high school cheerleader), However, I love Agnes dearly! It would have to be Cat. In many ways she is a younger version of myself, although she is shorter, thinner, and braver––and has much better hair, even if she doesn’t think so. Where did your inspiration for the string of crimes which occurred in the All-National Horse show come from? They’re pretty unique, you haven’t had prior experience in dealing with horses and people that way… right?! My goodness, no, I haven’t. And that’s a good thing because Cat is so much bolder and courageous than I am. The idea came from a casual conversation with a veterinarian while he was giving a few horses their annual exams. I did, however, do a lot of research, including taking a detailed tour of the venue where the book is set. I also lowered myself into a large, messy metal bin at night to see what that was like. You’ll have to read the book to understand what that is all about. Do you have any problems with writer’s block during your writing, and if so, please please please tell us your secret for dealing with it? I do a lot of thinking about the writing before I actually begin putting words down, so I rarely have issues with writers’ block. By the time I begin to write, the words usually flow pretty well. When I do get stuck, all I need to do is step away from my computer for a few minutes and take a short walk or start to clean a stall, and within minutes I am running back to the computer and the world of Cat Enright. Okay, serious questions finished for now; wine or beer; Coke or Pepsi; Tea or Coffee?! Definitely green tea––and if there is just a splash of fruit juice in it, then I am in heaven. At any point, did you write any part of this story on horseback? In a way! I actually think about plot points when I am riding. Of course, I have to stay focused when I am on a horse. The horses I ride need that leadership from me. But out on the trail, or cooling out, part of my brain always goes to Cat’s world. There is something about the movement of a horse that stimulates my creativity! How, as a writer, so you stay sane during the more frustrating parts of writing and self-publishing? Well, I don’t self publish, so I can’t address that. I am so fortunate to have the Cat Enright series published by Cool Titles, as they are extremely innovative and supportive. But I think most authors and publishers have the same difficulties in getting books on the shelves of stores, and in finding readers. That’s why I am so appreciative of a forum such as this, so I can let people know more about Cat and her interesting crew. And, I love reader feedback, either in the form of email ([email protected]) or a review on one of the many online sites. And back to the book – will Cat’s luck in love ever improve somewhat? Can you tell us anything, anything at all about the next book in the Equation series? Yes! The Fame Equation is set at Cat’s stable in Ashland City, Tennessee and brings Cat’s crush, Keith Carson, into the story, along with his beautiful, young duet partner. A church and a therapeutic riding program in Kingston Springs, a town just south of Ashland City, also come into play. Finally, how soon until Sally Blue gets her own spin-off series as a psychic equine crime-fighter?! Interesting that you ask. My publisher and I have been talking about a Hank and Sally book, something written from their viewpoint. As a dog, Hank is more mobile than Sally, and can pick up more information. Of course, it would be up to Sally to process it. And then there are things that Sally just knows, with no rational explanation as to why she knows. She is such a fun character to write! I am excited about the possibility of their own book (or series! ), but think we are book or two away from that yet. And finally, a few facts about this very interesting author. 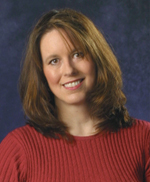 Lisa Wysocky is an author and motivational speaker who trains horses for and consults with therapeutic riding programs. Lisa is a PATH International instructor and has been chosen as one of the country’s Top 50 riding instructors by ARIA. As a speaker, Lisa motivates, and as an equine clinician she helps horses and humans connect in meaningful ways. In addition, her book Front of the Class (co-authored with Brad Cohen) has aired as a Hallmark Hall of Fame television movie. Lisa splits her time between Tennessee and Minnesota. Find her at LisaWysocky.com, twitter.com/LisaWysocky, LisaWysocky.blogspot.com or on Facebook at facebook.com/powerofawhisper. The Girl Who Could Change Colour is the first in a super new series of YA paranormal fiction from exciting author Linda Dent Mitchell. Our heroine is teenager Lizzarda Lexx who is headstrong yet also very vulnerable, having been orphaned young and then sent into a string of homes and foster care. She’s a tough cookie but not as impervious to her own and other people’s feelings as she tries to make out. 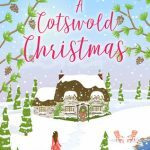 She finds herself in the small town of Little-Riddell with the Swallow family in their aptly named house, Swallow’s Rest. Sally Swallow is a wonderful foster-mother, kind, understanding and patient. She already has two foster-children under her wing, Lulu and Nathan, the latter who doesn’t take to Lizzarda and has a few problems of his own. Little-Riddell is dead boring as far as Lizzarda’s concerned, so when a group of ‘undesirables’ start appearing regularly in the park, they become a focus of her attention. At least they’re exciting. However, Lizzarda soon finds she’s out of her depth but fortunately her strange, new ability comes into play just in time. Linda can change colour to blend into her surroundings. However, this ability also causes problems, not least of which is to make her feel as though she’ll never fit in. How will she cope with her uniqueness? Will she use it for good or sinister reasons? And what do other people really think of her? This novella, that touches on difficult issues such as fostering and underage drinking, sensitively explores this unusual teenager’s psyche and introduces us to a very complex yet likeable character. I look forward to her future adventures as there’s a lot more to Lizzarda than meets the eye. Only a very interesting author could come up with such an interesting story, so I had to find out more about Linda. I asked her some questions about this book, her writing and herself. What inspired you to write The Girl Who Could Change Colour? I was inspired to write The Girl Who Could Change Colour because I was interested in how a troubled teenage girl might overcome her problems. As the story unfolds Lizzarda discovers how her ‘amazing powers’ can not only be used to her advantage, but also the advantage of others. The combination of these things, and the events which take place in the subsequent books change the way Lizzarda values herself and other people. Was it an easy story to write? After all, you deal with some quite tough issues such as foster care and underage drinking. I don’t think any story is easy to write – not for me anyway. The death of Lizzarda’s parents, foster care and the underage drinking are issues that she struggles with. In time, her ‘amazing powers’, and the people she grows to trust help her to deal with these issues. Did you design the cover yourself? The book cover was a collaborative creation. I’m from an art background. I trained in textile design and worked in a design studio for thirteen years. I also taught art and design in schools having gained a BA, MA and a PhD. I work with a digital designer called Jacqueline Abromeit. I send her my ideas for the covers, she interprets them, sends them back, then we finalise the details. This is the fourth book cover she’s done for me and she gets it right every time! Which character from the book are you most like? 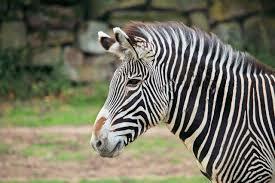 Lizzarda? Mrs Swallow? Hopefully not one of the Hoodies!? I’m probably most like Lizzarda in that I have her independent streak. I looked similar to her when I was younger (but I didn’t have body piercings and multi-coloured hair. I’m from a different generation and those things weren’t as accepted as they are now). That’s where the similarity ends because (fortunately) I came from a happy loving family and didn’t leave home until I was twenty five. Who’s your favorite character and why? As well as Lizzarda, I’m quite fond of Lulu Lang. She’s so bubbly, happy and friendly. 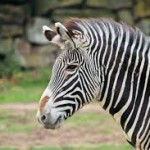 Unlike Lizzarda she’s grateful for her new home at Swallows’ Rest – and for the care her new foster parents are giving her. What are you working on now? Will it be out soon? I’m working on a few things: The second book in the Lizzarda trilogy, and the third book in my Oribliss castle series for 9-12 year olds. I’m working towards these two books being published this year. As I’m a very creative person, I have lots of notebooks on the go and other titles ‘in progress’. I read all sorts of things. As well as children’s books I read lots adult books. I love mystery, suspense, fantasy, paranormal and murder mysteries. I also like ‘tongue in cheek’ humour. I love my new Kindle Fire! I think it’s a brilliant invention. It’s opened up a new world for readers and writers and I download lots of sample chapters to see what books are like. I generally have a few books on the go, then dependent on my mood I can switch from one to the other. I love to give new authors a try. I recently saw an ad in a national newspaper, a book for teens called Fugitive by Louise Miles, so I downloaded a sample, decided I liked it and bought it. When did you first realise you wanted to be an author? I never decided that I wanted to be an author. It sort of ‘came upon me’. My art and design background and my educational studies led me to it. I used to get lots of inspiration for my painting and drawing from literary themes, and then a few years ago I suddenly started writing. 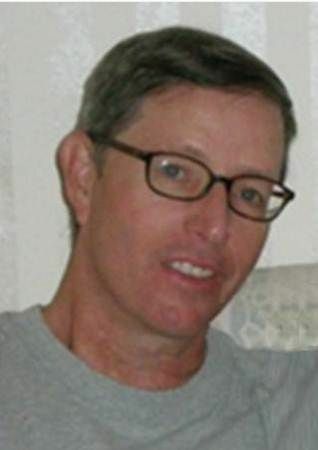 My biography is on my website www.ldmitchell.com which gives more details about myself and my books. What one snippet of advice would you give to aspiring self-published authors, adults or children? If I was to give advice to self published authors it would be similar to that given to me by my PhD supervisors: KEEP GOING. A true professional never gives up. Don’t cut corners! You need a good book cover, a good story, and a punchy website – and the work MUST be professionally edited and proof-read. Use social networking sites, respond to emails and interview requests, advertise in your local area. You need to be visible – if you’re not no one will know your work exists. The hardest part is marketing your work independently, this is one of the disadvantages of self-publishing. I’d also keep trying to get a mainstream publisher, but if you’re lucky someone might find you. OK, enough of the serious stuff. What are the three favorite things in your wardrobe? What food can’t you resist? Easy – a cool glass of wine at the end of the day. White or rose are my favourites. I also like chocolate. I’m veggie so I like fresh fruit, salads, pasta and rice dishes. This is another one that’s easy for me to answer. I love a day out by myself – no Kindle – no telephones. I like market towns and cultural cities. I enjoy wandering round streets, window shopping and going for lunch. My daughter lives in Leeds so I love to meet up with her. We always have a restaurant booked in advance – and because I don’t drive on those days I can have a glass of wine…or two! 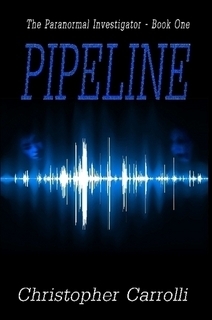 Pipeline by Christopher Carolli is a tense paranormal thriller, the first in a series. A pipeline is when the dead attempt to communicate with the living through technology such as television, phone or computer. This is what happens to Tracy, whose fiancé David died in a car crash six months ago. She suffers from survivor’s guilt since she was in the car too but survived. And suddenly she hears David’s voice on the television, hears his favourite song on the radio which tunes itself and gets silent phone calls from an unknown number. She needs help, but not from a psychiatrist. Her friend Marcia points her towards a group of paranormal investigators. They attempt to solve the mystery of what David is trying to tell Tracy but time may be running out. This is an extremely exciting and well written book. You’re on the edge of your seat all the way through. Carolli has created some intriguing, complex characters for us to discover. Not just Tracy but everyone we meet has an interesting background and a persuasive reason for being involved in this paranormal investigation. It’s far from being another ghost story. 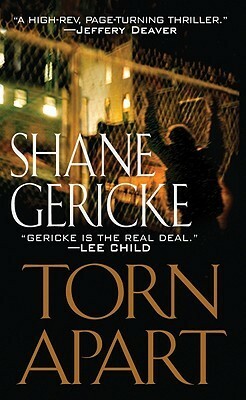 This is a gritty, gripping, modern novel with an ending that is far from predictable. It’s a brilliant and thought provoking start to what looks like being an excellent series.